The recent OPEC report is showing that Iran's oil production continues to decline, apparently falling to a 20-year low. FT: - Iran’s oil production has fallen to its lowest level since the aftermath of the Iran-Iraq war 20 years ago as western sanctions threaten Tehran’s economic lifeline. Oil traders and western policy makers who monitor Iranian oil production estimate that Tehran pumped 3.2m barrels last month, the lowest amount since 1992. That is below the depressed level of 1999, when members of the Opec oil cartel implemented draconian production cuts to shore up oil prices, which had fallen below $10. 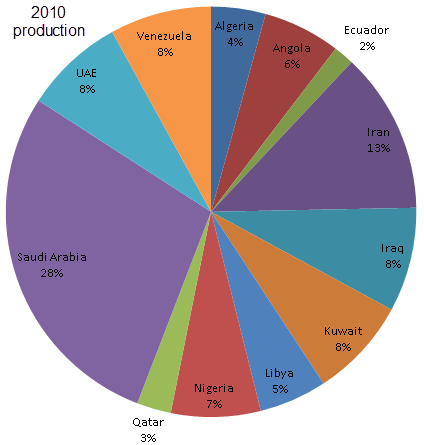 ... changing the production distribution among the OPEC members. 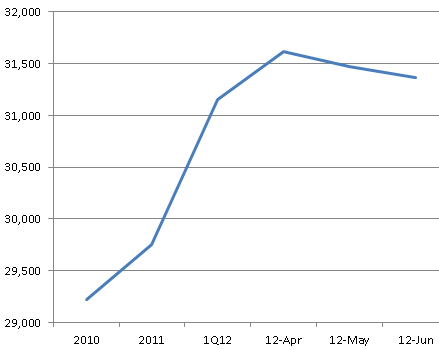 This is what the output breakdown looked like in 2010. 1. The Saudis are pumping considerably more on an absolute and on a relative basis. 2. 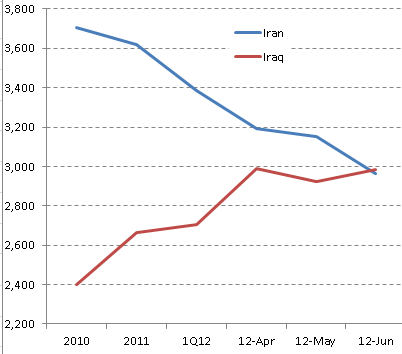 Iraq's crude output is now catching up with Iran's. 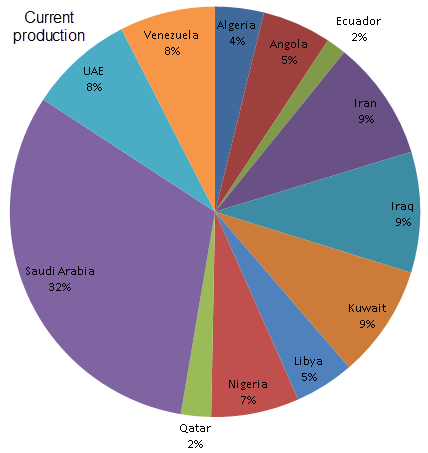 See this OPEC report for the latest data, including the demand side.